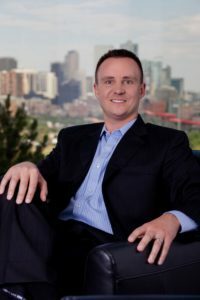 Mark is the founder and president of Luxmana Investments, a real estate investment firm based in Denver, CO that focuses on both residential and multifamily investments. We’re going to speak with Mark about how he was able to go from just being a part-time investor who still had to work a full-time job to make ends meet, to a person who quit the corporate rat race to pursue his Real Estate passion Full-Time. We’ll also dive deep into the recent 64-unit apartment acquisition in TX and how he was able to find an opportunity in a property that most others had passed on. I’m absolutely positive that you’ll gain massive value from our show together and will be both inspired and motivated by Marks Story. And as a special bonus, Mark has so graciously agreed to give you a free copy of his recently written report titled 10 “NOT SO OBVIOUS” WAYS TO BOOST YOUR MULTIFAMILY PROPERTY NOI, but there is one catch, you’ll have to listen until the very end in order to find out how to redeem your this free report. How Mark got his start with one duplex in 2004 while working full-time in the technology field before scaling up his investments and leaving the rat race in 2015 to go full-time as a real estate investor. The reasons Mark attributes most of his successes to the incredible team he has built and feels he wouldn’t be where he is today without them. The hard lessons Mark learned after investing his money in what he later found out was an investment scheme and the small steps he could have taken that could have potentially helped him avoid this mess. Why Mark chooses to buy apartments in markets that are almost 1,000 miles away from his home in Denver, CO and the systems he uses to manage these from afar. The opportunities that can exist in stale listings and how Mark was able to pick up a great deal that many others passed on. The importance of forming a strong relationship with the city or county inspector in the area where your property is located. How to accelerate your growth by finding both a mentor and experienced sponsor.